This summer I organized my record collection so all my holiday records were pulled together and ready for action this Christmas. A few of my favorites are Bing Crosby, Nat King Cole and Burl Ives. And I love, love the cover design of the 'Twas the Night Before Christmas album. This record is from when I was a kid! I remember listening to this over and over when I was sick, whether it was Christmas or not. 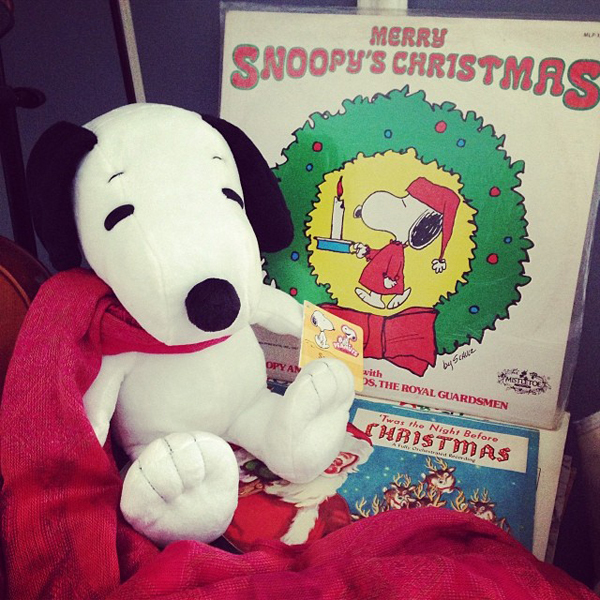 Funny thing is, I got a stuffed Snoopy from my office Secret Santa, dressed up as a World War I Flying Ace complete with a red scarf! 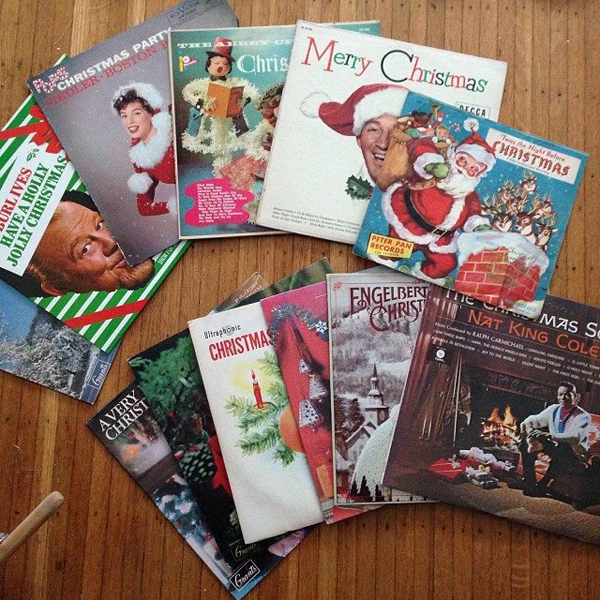 Christmas without Burl Ives is barely even Christmas :) That's a great Christmas album collection.